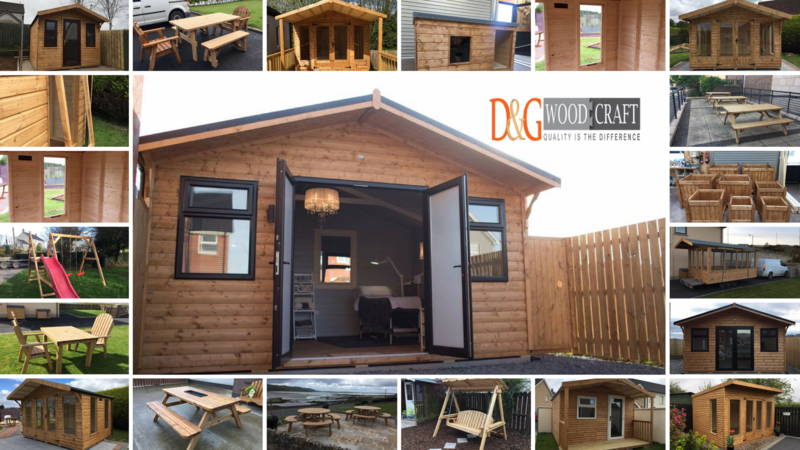 D and G Wood Craft offer custom designed and built children’s wooden garden playhouses, Delivered and installed throughout the Northern Ireland and border counties. Have a look at our recent collection. We have made Kids playhouses, garden sheds and garden furniture for customers from Dungannon, Belfast, Lisburn, Newry, Armagh, Monaghan, Cavan, Fermanagh, Derry, Donegal, Sligo, Omagh and all over Tyrone, Banbridge, Dundalk, Derry, Dublin etc, People contact us from all over Ireland Noth and South because we are specialists in manufacturing high-quality sheds.